For over 40 years, Craftbuilt Kitchens has been supplying quality kitchens, benchtops and bathrooms, and you can be assured that we are here to stay. Using latest 3D graphic design software our team of experienced designers can bring your dream kitchen to life, right before your eyes. 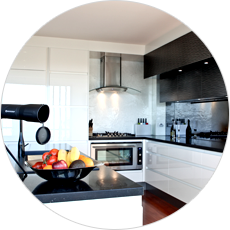 All of our kitchens and bathrooms are built locally in Brisbane. This helps minimize time delays, especially on installation day. We are Australian owned and we support local businesses. We choose to work with licensed Tradesman that take pride in their work and have a high standard of quality. 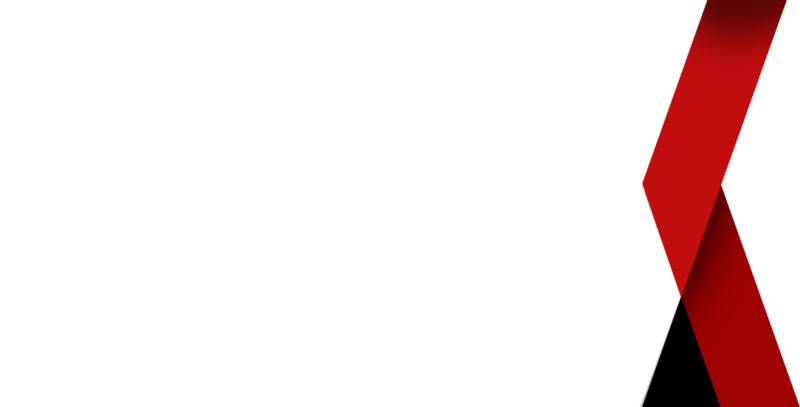 You can be assured that all of our tradespeople are courteous, well-mannered and stand by their work. 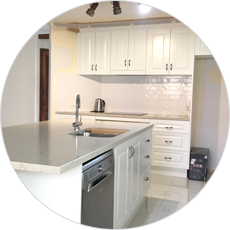 Whether you are looking for kitchen renovations or kitchen designs in Brisbane, our team of consultants, designers, cabinet makers and tradesman will bring your dream kitchen to life. 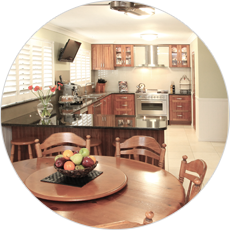 Visit our kitchen renovations Brisbane page for more information. Craftbuilt Kitchens has a 10 Year Guarantee which includes a written copy of guarantee provisions with insurance cover on the total contract price, not just cabinetry. Craftbuilt Kitchens offers you interest free finance allowing you to buy your new kitchen today while paying for it over time – INTEREST FREE*. Click here for more information or contact us today on (07) 3341 9166. Visit our modern showroom conveniently located at Stones Corner. You can meet our friendly experienced staff who can show you the latest in door and bench finishes as well as space saving accessories prior to meeting with one of our Designers. 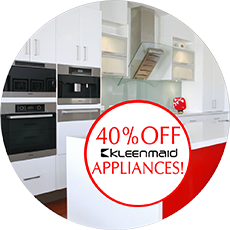 As we are stockists of high quality Kleenmaid European designed appliances, we can offer knowledgeable advice across the range to suit all budgets and requirements. Invite one of our female Designers into your home to discuss the possibilities to improve the look and functionality of your physical space. 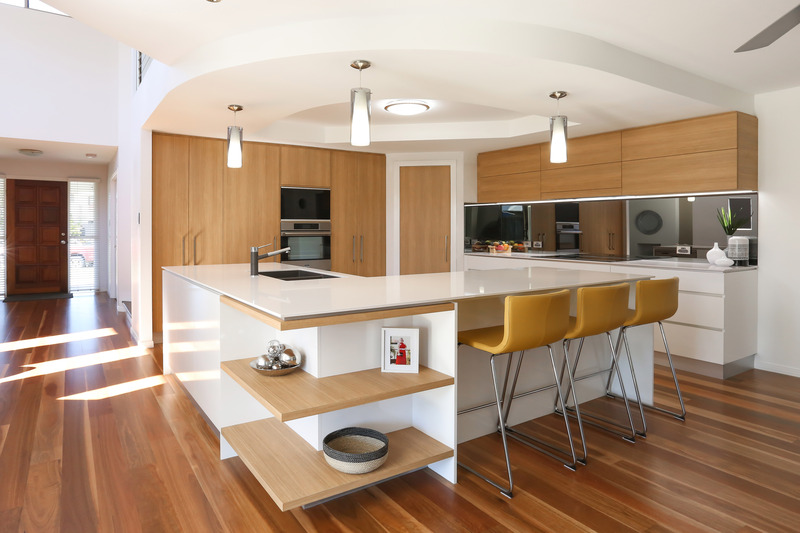 Our Designers have many years of experience designing individual custom kitchens in Springwood and Brisbane, specific for each and every customer. 3D images can be viewed giving you the customer a perfect concept of what your brand new kitchen will look like. Craftbuilt proudly recommend and sell Kleenmaid Appliances. Kleenmaid’s modern style appliances are the finishing touch to compliment your new Craftbuilt Kitchen. Visit our friendly staff today to discuss the right combination for you. Since 1984, Exceeding Expectations has been the driving force of the combined worldwide network of designers and engineers who manufacture Kleenmaid appliances. The Kleenmaid technical team demand excellence in every product bearing the Kleenmaid name. Experience the thorough communication and coordination from our Project Manager who is specifically assigned your project. This ensures that communication is flawless between the information gathered by our sales designers right through to the trades and staff member installing your brand new kitchen. Enjoy the finesse and dedication from our installation team in Brisbane. At Craftbuilt, our installation team are highly experienced in home renovation where walls and floors are not always square. Our installers are fully briefed by the project manager on your project. This ensures our standards of quality are consistent and uncompromised. Craftbuilt are great to deal with, nothing was too much trouble and any questions we had were clarified. The end result of our kitchen is beautiful we love it! Thanks so much. What made Craftbuilt better than others was they did not fob off the problems, everything was fixed to the standard you would hope. We were very impressed by the professionalism and work standard of all the employees – from the showroom staff through to the installers and associated contractors. I had my beautiful new Craftbuilt kitchen installed over 2 years ago and still love it to bits. My designer Sharon worked with me tirelessly to turn an awkward pokey space with angles and curves that couldn’t be changed to create a new open area where all the family could cook, socialise and clean up without getting in each others way. I choose Craftbuilt because they listened to me without pushing me and the whole experience was a relief as I had been planning what to do for a very long time. I now have all the storage I needed in my kitchen that works for all occasions.